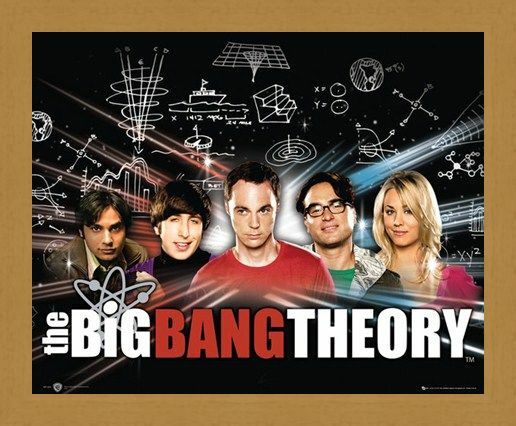 Television Mini Poster: Whether you are a science geek or a girl next door, this brilliant 'Big Bang Theory' maxi poster is guaranteed to put a smile on your face as you get up close and personal with your favourite characters from the cult American comedy series. 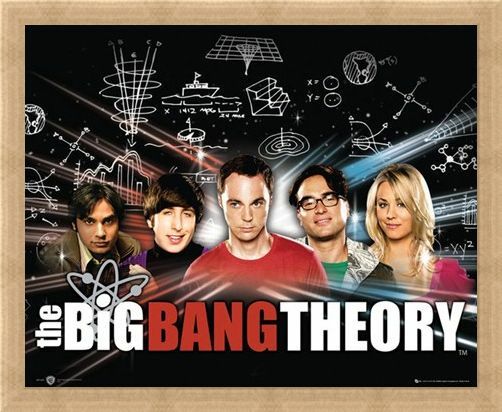 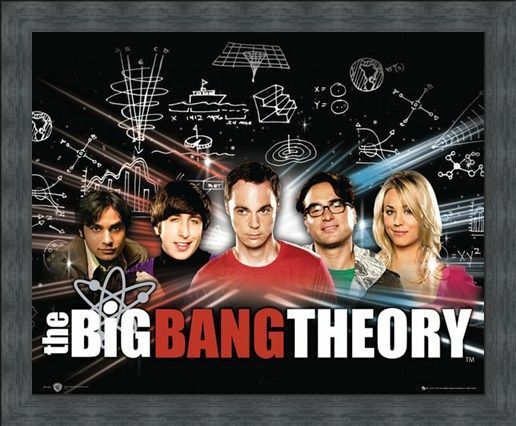 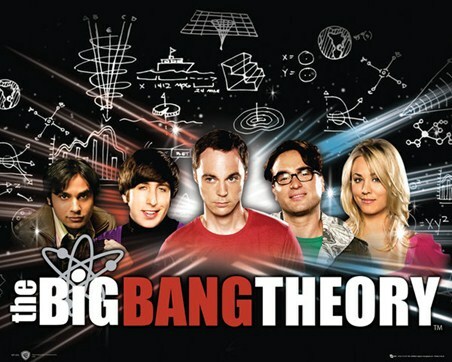 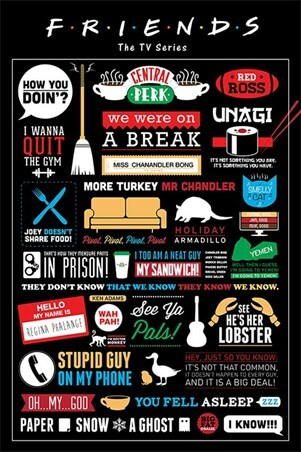 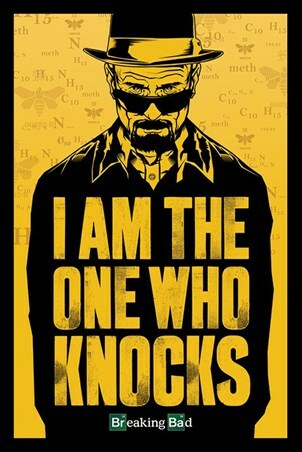 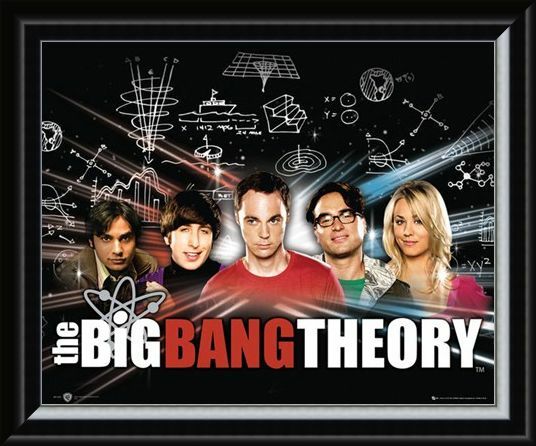 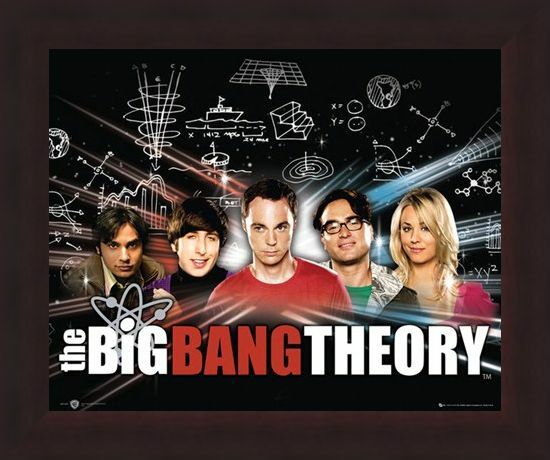 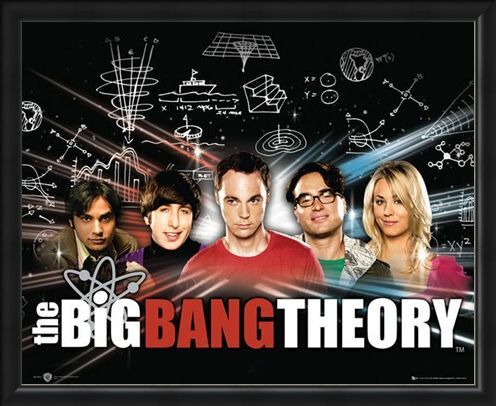 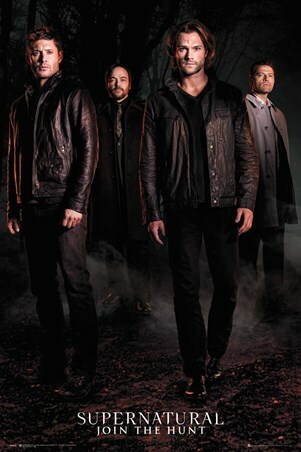 The blackboard style background is covered with mathematical and scientific equations with an exploding light which beams through the centre of the poster as Dr Sheldon Cooper, Dr Leonard Hofstadter, Dr Rajesh Koothrappali, Mr Howard Wolowitz and Penny stand together in this poster of epic proportions. 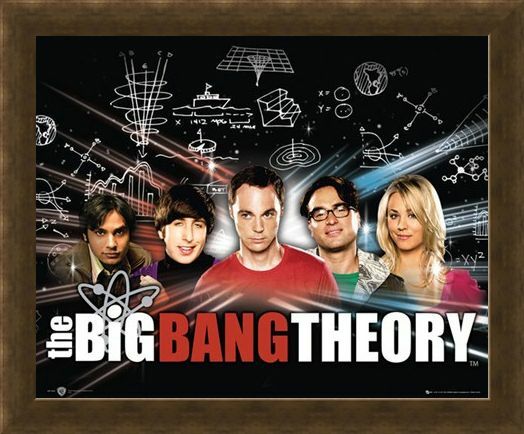 High quality, framed Raj, Howard, Sheldon, Leonard & Penny, The Big Bang Theory mini poster with a bespoke frame by our custom framing service.